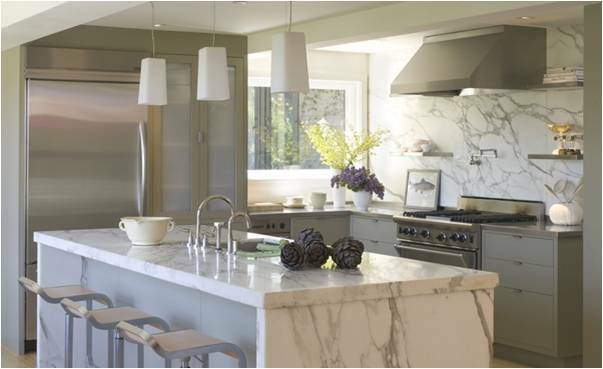 Personal taste is front and center in current decorating trends according to a recent survey conducted by Houzz and your next kitchen counter top is no exception! 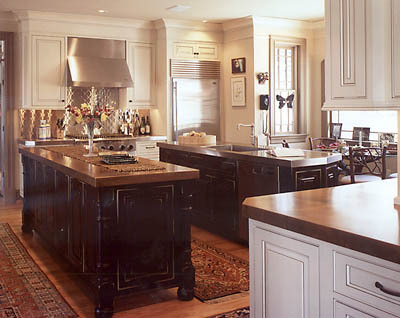 With so many counter top choices today, staying informed can be a challenge. Choosing what’s right for you can not be merely based on looks but should complement the activity of your family needs and of course your budget. Finding the right kitchen counter top that suits your needs best can be made easily with a little information on the following 15 popular kitchen counter tops trending today. 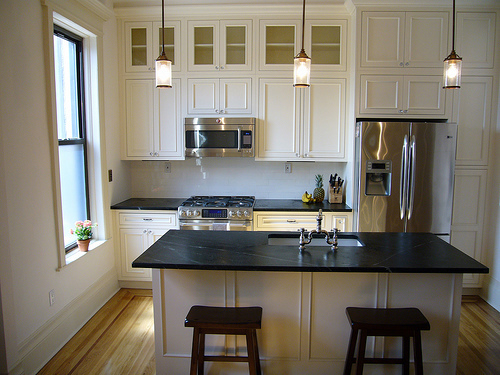 Soapstone Kitchen Counters are known for their resistance to stains, chemicals and bacteria; a durable choice for the kitchen but also more expensive at $80-$100 per square foot installed. 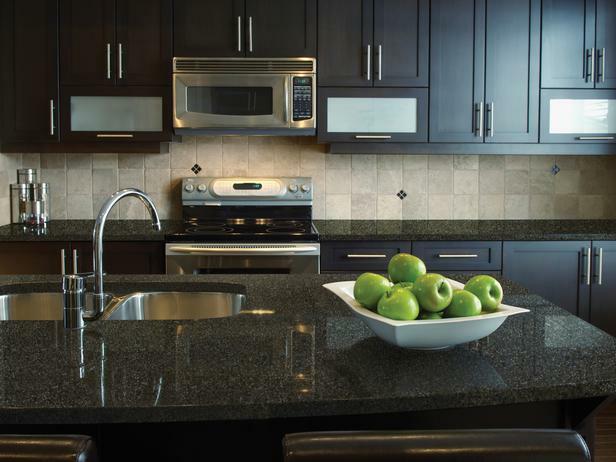 Granite Kitchen Counters are a popular natural stone that offers durability, character, uniqueness, color options and finishes but must be sealed properly. Exotic slabs will drive up price but can cost as low as $50 per square foot installed. Copper Kitchen Counters are easy to clean and maintain but its surface will react to different substances, creating a blend of matte reds, browns and greens. A minimum of $100 per square foot is worth it [according to Houzz]. Engineered Quartz Kitchen Counters are a great choice for customization since they come in almost every shade by combining ground quartz, resin and pigments for a tough, nonporous material. Eco-friendly makes it a great choice for green homes, costs can range from $95 to $105 per square foot. 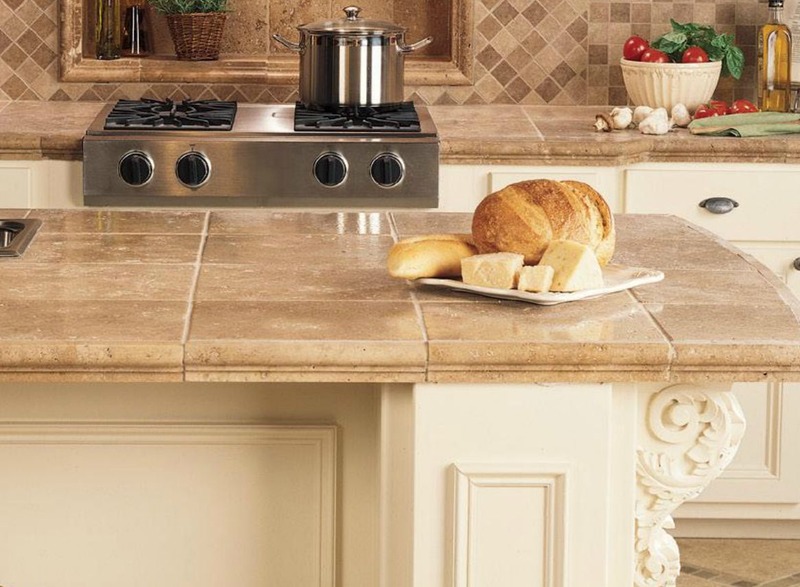 Ceramic or Stone Kitchen Counters are incredibly durable and fit the DIY counter top options but choose your grout carefully to keep maintenance low. Starting at $30 per square foot installed. Salvaged Wood, Bamboo to Bio-Glass are eco-friendly choices that are offered in a wide variety of material styles and cost. 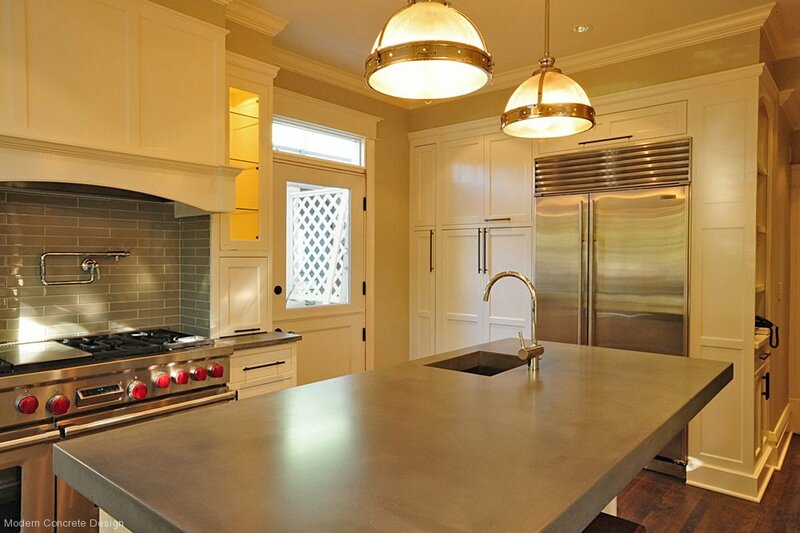 Zinc Kitchen Counters darkens with time giving it a nice patina. A warm metal that has been popular for centuries, its antimicrobial properties make it a smart choice for a cooking space. Offered at $100 and up per square foot, installed. Recycled Paper-Based Kitchen Counters are eco-friendly surfaces that have durability, when blended with resin and pigments has the look and feel of soapstone. At $40 to $80 per square foot installed its a fraction of the cost. Plastic Laminate Kitchen Counters still have a serious fan base. 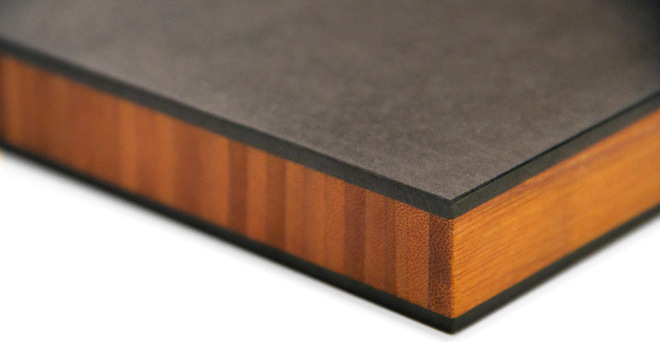 The wide range of customizable edges and finishes can work with any style. Not the most durable of counter tops its affordable price makes it a popular choice at $8 to $20 per square foot installed. 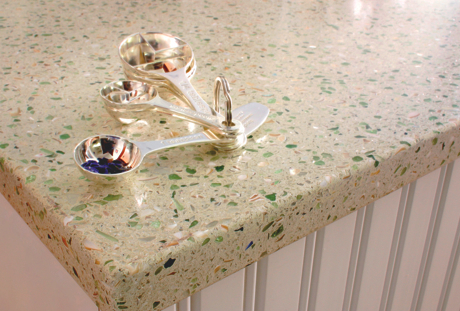 Recycled Glass and Cement Kitchen Counters offer a unique combination of glass and cement that brings uniqueness, durability and eco-friendliness to this choice. On the expensive side ranging from $100 to $160 per square foot installed. 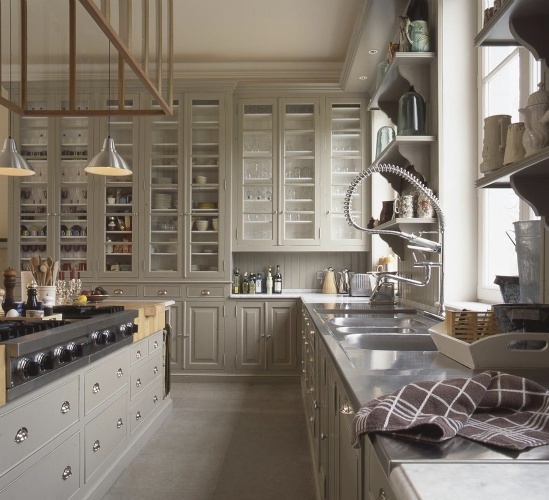 Marble Kitchen Counters offer a classic look that always in style and a rich patina that develops with use. 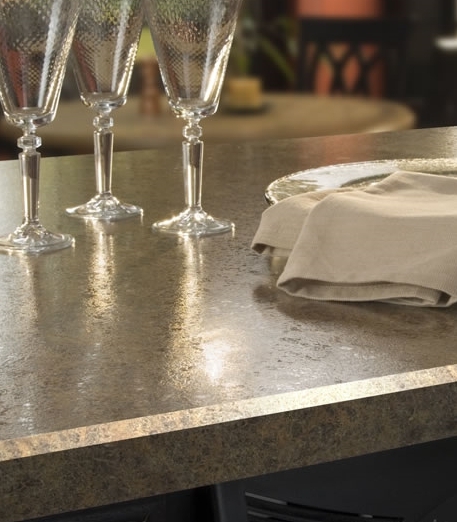 Although durable, it is a softer stone than granite and can scratch or stain easily. The cost typically ranges from $70 to $100 per square foot installed. Concrete Kitchen Counters are custom oriented with the choice of different pigments, stains and dyes in creating color and visual texture. Must seal this investment which ranges from $100 to $150 per square foot installed. Stainless Steel Kitchen Counters are loved by professional chefs because of its non-staining, heat-resistant and easy to clean qualities. 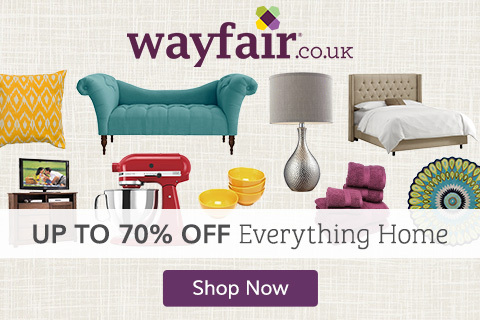 Fingerprints and scratching will stand out but its a great choice for the serious chef. Price will range from $80 to $90 per square foot installed. 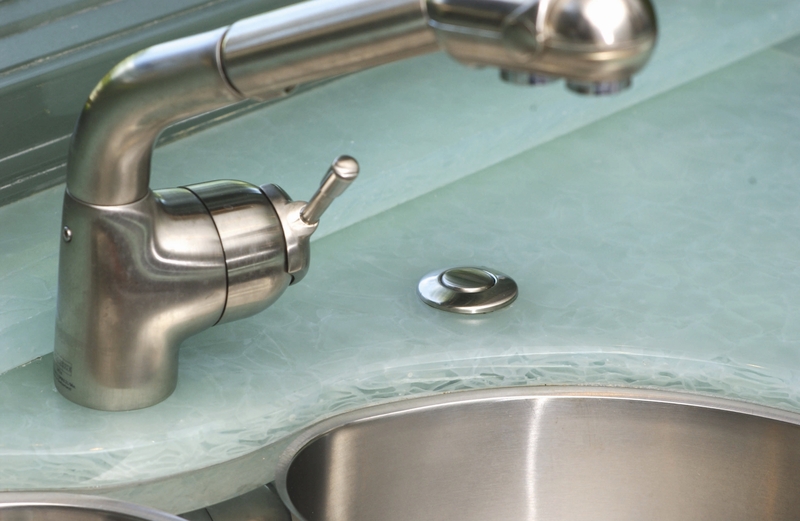 Solid-Surface Kitchen Counters have the ability to emulate just about any other surface, making it hard to tell if it is stone, wood or plastic without the maintenance or damage risk. Prices range from $50 to $100 per square foot installed. 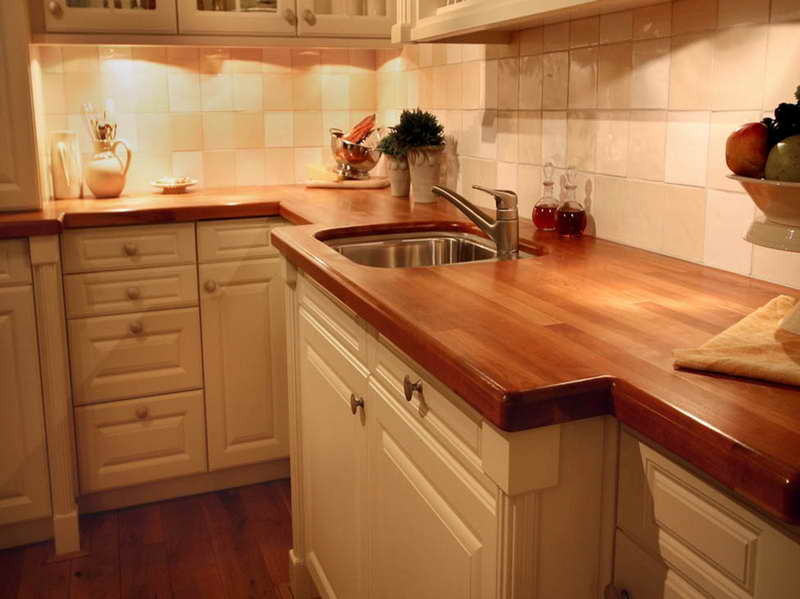 Wood Kitchen Counters make for a beautiful, warm and long-lasting counter top with the use of a high-quality wood and the right sealer. 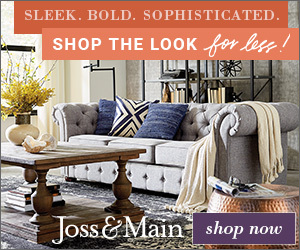 Price typically range from $30 to $85 per square foot for materials only. 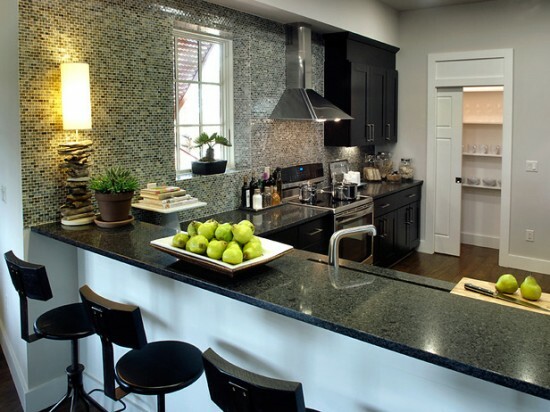 Choosing the right counter top can be made easy when you consider the types of activities that take place in your kitchen, your season of life and personal preferences! Although all of these are nice, I have to say “Copper and Stainless Steel by Zeo Industries” is exquisite. Is this more expensive than the others (it’s worth it)? Yes, copper counter tops are one of the more expensive options but is definitely worth the investment in your ‘forever’ home! Thanks for your response.